Front line staff are the most important employees when it comes to a brand. TV spots are great because they reach a lot of people. Facebook, Twitter and other digital media outlets are fantastic because they allow for one-on-one interaction. But your teller is the most personal and engaging medium that a member will experience with your credit union. You brand your marketing tactics with a voice, imagery and a feeling that expresses your brand. Why would you not do the same with your employees? Easier said than done, right? It’s actually pretty easy. Include them, encourage them and empower them. If you can accomplish that, you will see a higher return on investment, and your credit union will be one that employees love to work at. It’s simple math: Strong internal culture divided among employees equals a better bottom line. Whether it’s the teller that smiles and cross-sells, or the business development rep that works non-stop to bring in active SEGs and then keeps the relationships strong through good service and a friendly attitude- You need the workforce that’s happy at their job, and brings your credit union success. As credit unions continue to be champions for their members, a strong internal culture will help you back up your claims of friendly service and financial responsibility because your employees will be champions for your credit union. Your front line staff knows your members. They know what members like, and what they complain about. Research is expensive. It’s always good to have a research firm come in and interview your members, but it’s not always an option. Don’t forget that your employees are a research tool. Don’t just give them a medium to express their thoughts and opinions, but listen to their ideas. If you like it, then try it- make it known whose idea it was. Just think about how much your front line staff interacts with your members. They are the first and last impression that every person walking in and out of your credit union will experience. A collaborative work place is a happy workplace. Getting your employees to be proud of their work, and giving them a chance to make real change will empower their motivation to breathe your credit union’s brand. 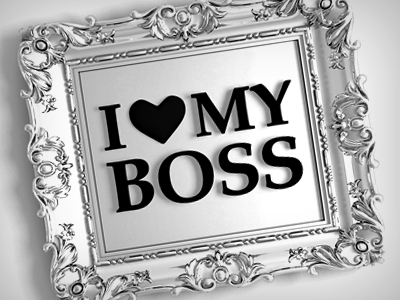 Do Your Employees Think You're "The Man?" As a credit union, the answer is probably no. But if you’re not fostering a strong internal communication platform, you might be distancing a staff that directly affects membership growth and retention. Your staff is cross-generational- so what’s one thing that your Boomer and Gen Y employees have in common? They don’t like “The Man” (good thing they work for a credit union). But do you really communicate your organization’s brand - let alone your credit union difference to them in a way that compels them to embrace your internal culture, and stay with your organization for the long haul? The Boomers are huge. They are close to 80 million people strong, making it the largest living generation until Gen Y. So, the early 1970’s brought a large mass of workers as the Boomers turned 25, and began their careers. This was a terrible time for internal culture because employees became expendable. By 1975, unemployment had risen from 3.8 percent to 9 percent, so if you wanted a job, you had to put up with “The Man”- meanwhile employers didn’t work hard to keep employees happy. And then Generation X entered the workforce. The problem was Gen X only has 67 million members, an 11 percent decrease from the Boomers. The tide had turned. Companies fought for the best employees. Large corporations like Mazda, Google and Microsoft started building internal cultures that harvested opportunity and happiness. Can you imagine being able to bring your dog to work in the 70’s? So here we are- 2011 and the first of Gen Y is entering the workforce. What do we know about Gen Y? It’s huge. It’s estimated that this generation is made up of 100 million people, and they have a median age of around 15. Does this sound familiar? It should. Add in discos and bell bottom jeans and it’s the 70’s all over again. Over the next 10 plus years, credit unions- like everyone else- will be able to pick from a large mass of people to fill positions. With competition being everywhere, you need every member you can get. There’s a difference between an employee who comes to work, and an employee who comes ready to work. 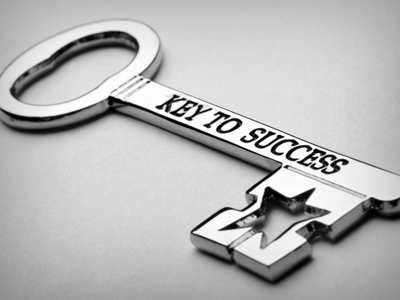 Happy, long-term employees gain and keep assets inside the credit union. Don’t repeat the same mistakes made 40 years ago. Remember that your employees are your moneymakers. Gen Y will bring some great talent to the workforce, so embrace them and they will embrace your brand. 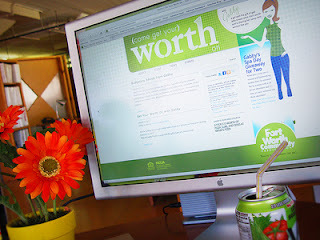 Speaking of the gift of gab, Ft. Worth Community Credit Union just launched their campaign geared towards not only moms but women ages 28-55 (www.getyourworthon.com). This super-savvy campaign features “Gabby”, Ft. Worth’s spokeswoman who has the gift of gab and wants to share her money saving secrets with you. Tara Street, Third Degree’s Creative Director “gabs” about the campaign here. Every woman likes to save money but 84% of women feel misunderstood by investment marketers; so a down-to-earth, friendly, credit union is the perfect, natural fit for women. 4 They price-compare and are coupon-clippers but are often pressed for time so they can rest assured that all of their financial needs will be taken care of from car loans, mortgages and checking accounts all in one stop. Ever wonder why Wal-Mart is so popular? Their main client-base is a mid-aged mother. As a credit union, are you making sure that you get the word out about how woman-friendly you are? Your credit union needs to be in the driver’s seat of the minivans and SUV’s proudly displaying the soccer and hockey stickers on the back window. Jump in, make yourself comfortable, and enjoy the ride! 1. “Marketing to women quick facts”;http://she-conomy.com/report/facts-on-women; February 16,2011. 2. Diversity Best Practice & Business Women's Network: Wow! Quick Facts 2006 & 2007. All About Women Consumers 2007. 3. Borow, Brette.“10 Musts for Marketing to Women on Facebook”;http://mashable.com/2010/01/13/marketing-women-facebook/; February 16,2011. 4. Rodriguez, Marvin. “Is the market of tomorrow a women’s world?”;http://www.suite101.com/content/womens-influence-in-the-marketplace-a239469; February 16,2011. 5. Terbush, Sophie. “Women, young adults are active ‘social animals’”; www.yourlife.usatoday.com; February 20, 2011.